How we stay connected on the road really is a lot simpler than you’d think. 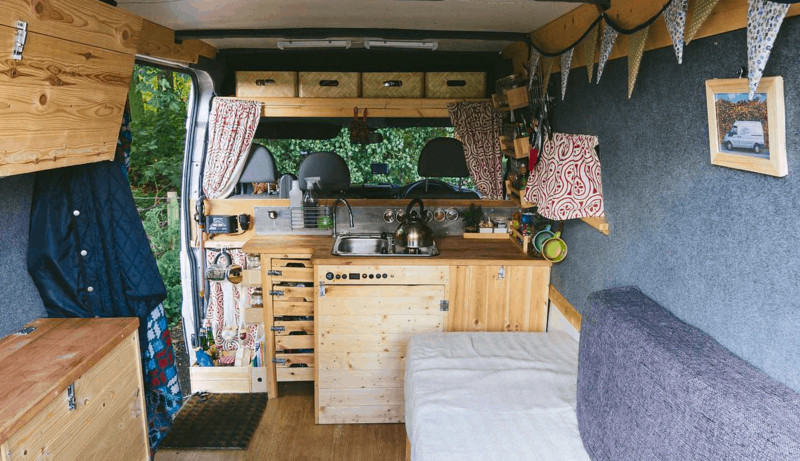 In this day and age the options you have to connect a wide and varied and really do make it easy for us to make money while on the road. Whether it’s working, letting your friends and family know everything is alright or simply updating your instagram the chances are that you’re going to want to be able to consistently connect to the internet regardless of where you are and so here’s what we do to stay connected. It’s probably the most obvious and most useful method for staying connected and that is the mobile phone. Since we started travelling the laws in the EU have changed which means that we can use our mobile data plans within Europe without having to pay any extra, this really was a game changer for us both. When we first left on our trip we both had different phone networks and I found that my mobile internet speeds abroad were terrible and coverage was awful, I was with O2 and had been for a number of years. Olivia on the other hand seemed to always be connected to 4G pretty much the entire time and so as soon as I had the chance to I got myself an EE sim only package and we were on our way. The plan we now both have is 20Gb of data with Unlimited calls and texts for £25 a month. Having 40Gb of data between us means that we can update our website, keep our instagram updated and most importantly do our matched betting which is what brings in our main income. The beauty of all of that data on your phone is that when we want to do some more intensive work we can simply set up a mobile hotspot and tether our laptops and we’re away. For times when we want to do some more data intensive work such as uploading our photos, downloading podcasts and music for our next long drive or watching Netflix we try to avoid using our phones as that data is precious for work and contacting friends and family and so we set up our iBoost WiFi system. 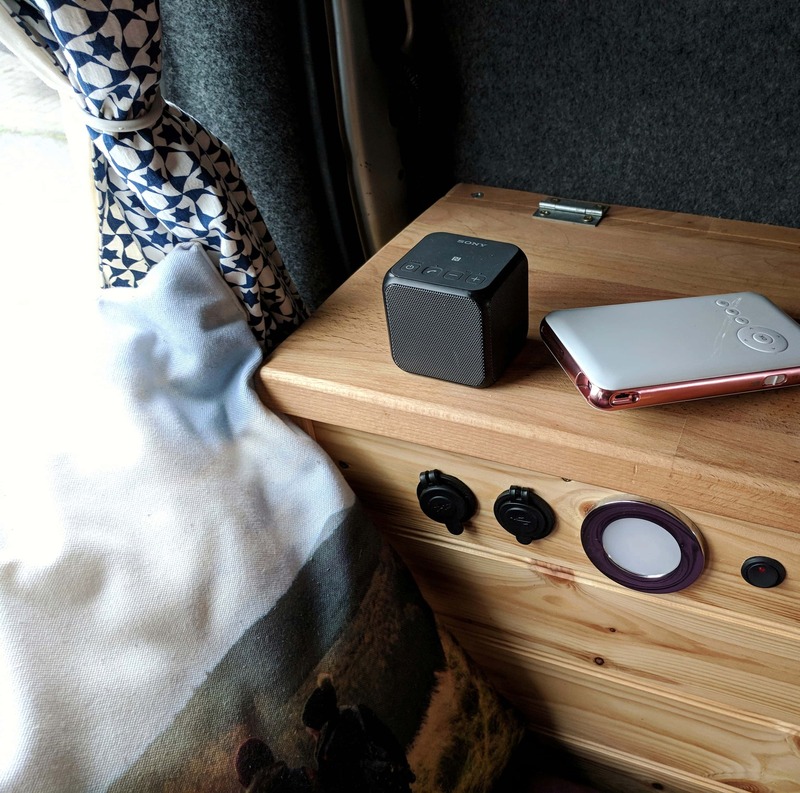 The iBoost WiFi booster is a directional aerial and router which lets you connect to WiFi’s within a range up to 5km and then create a WiFi network in your van similar to your home. It’s exceptionally easy to use and works great. Often we can park up out of the way and connect to coffee shops, fast food restaurants, hotels and any unprotected WiFi network and simply connect our laptops and phones to our own little WiFi network. When we were considering buying the iBoost we were unsure whether it was something we needed and especially at the price. 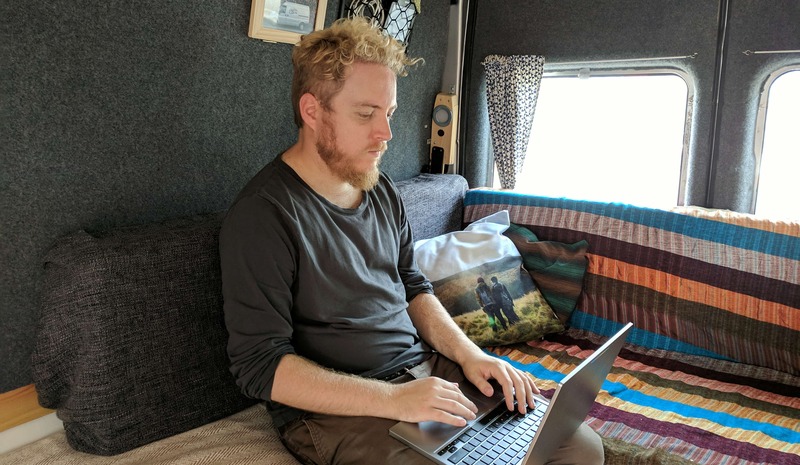 We had previously been able to find WiFi every week or so and would spend a few hours doing the data intensive work however since we have the iBoost we can now get WiFi regularly and from the comfort of our own van and has now become a worthwhile investment for us. As you know from living in the UK WiFi is everywhere, every coffee shop, super market and fast food chain has their own free WiFi for you to use. This was how we managed to stay connected until we got our iBoost WiFi system. There is a downside to this however, and that is the small cost you have to pay to access this WiFi, whether that be simply a cup of coffee or a burger. If you add up the cost of these over time it begins to become an expense and for the cost of 50 cups of coffee you can get the iBoost and simply get that WiFi for free. The positives however are clear, it means we are able to download and upload to our hearts content without using up our own data. We would often fill our back packs with our laptops, kindles, mobile phones, iPods and anything that needs updating as well as all of the charging cables and sit in cafes and download and charge and update everything we could as quickly as possible and then leave. The quicker we were left the less we tended to spend on drinks and food. This worked for us very well for a while and it is definitely possible to stay connected this way. With these 3 things we are able to stay connect on the road and continue to earn our living, keep our website updated and also post photos all the time!